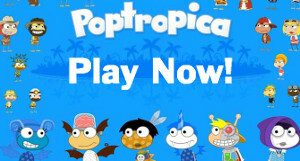 My name is SkyBoy303 (I usually just go by SkyBoy though) and I started this poptropica blog in 2012. I figured I would make this page to give the Poptropica World readers a little more information about me and any other authors we add to the site! Ok so first off I started playing club penguin online and made a pretty popular blog. I kind of wanted to move away from CP and decided to change my name when I started playing poptropica because I used to get swarmed a lot when I would log into Club penguin and I kind of got tired of it. So when I started this new poptropica blog I created my new name SkyBoy303! You can try to guess who I was on club penguin if you visit a lot of blogs but I probably won’t admit it even if you guess it right ;). Ok so some of my favorite things, I think I’ll just make a list instead of writing out a ton of sentences and blabbering too much. Music: I’m kind of weird and like almost all kinds of music to be honest. Sometimes I will listen to a little eminem or drake, sometimes I will put on some rock and blast the stereo. Sometime’s I will put on pop music too (don’t hate me haha) and I’ve even been caught liking a couple country songs here and there. Seriously if it’s playing I probably will listen haha. Television: Again I like a lot of different shows haha. I probably spend most my time watching either ESPN or NBCSN since I like sports a lot. But I really like a ton of shows like X Factor, Americas Got Talent, Glee, Big Time Rush (I like hockey a lot did I mention that haha), and the list goes on and on. That’s the main things I can think of right now, let me know if you have any questions or anything! If you have a good question leave a comment and I’ll be sure to answer it the best I can! Also be sure to follow me on twitter at Twitter.com/PoptropicaWorld and on Facebook, Pinterest, Youtube and Google Plus! I try to post often and give away memberships to my subs as much as I can afford too (it gets expensive haha)! i need a membership code because no matter what i try it won’t work asking my parents, hacking to find code not used and going on this blog. a 6 month please. I NEED MEMBERSHIP. CUZ MY FRIEND HACKED TWO OF MY ACCOUNTS WITH MEMBERSHIP. :( MY USER IS BUZYBIRD3. ADD ME. kk i have membersip 🙂 yes,and here a FREE account! We have practice a handful of perfect stuff here. Definitely cost book-marking intended for returning to. I personally delight what amount test you placed to make such a wonderful useful web-site.